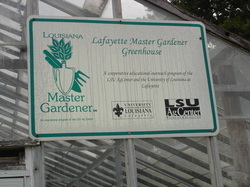 Lafayette's LSU Ag-center agent Dan Devenport. 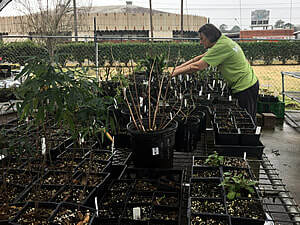 Taking rose Cuttings(hands on) with Juan Nieto at 10 a.m.
Orchid Basics with May Vidacovich at 11 a.m. . 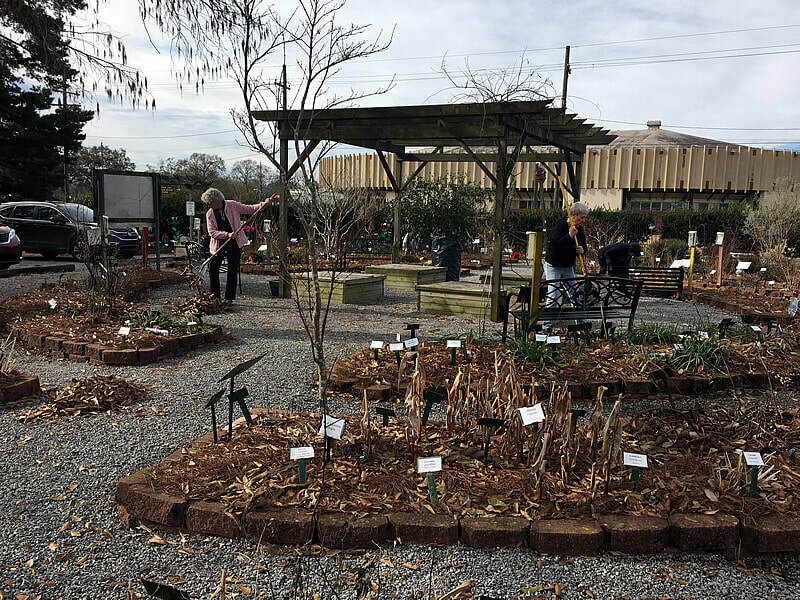 Separating a Staghorn Fern with Becky Taylor/Therese Schumacher at 1 p.m.
Festival des Fleurs, the main fundraiser for Ira Nelson Horticultural Center, is selling raffle tickets for a drawing to be held Saturday April 14, 2018. There are $5 and $2 tickets. Tickets can be purchased from any festival member or you can contact Billy Welsh, with Ira Nelson at 337-482-5339, or Cindy Risinger- Johnson 337-250-1243. First prize with the $5 ticket is a 4 piece Wicker Patio Furniture Conversion Set with cushions and coffee table. These can be viewed at festivaldesfleurs.org. 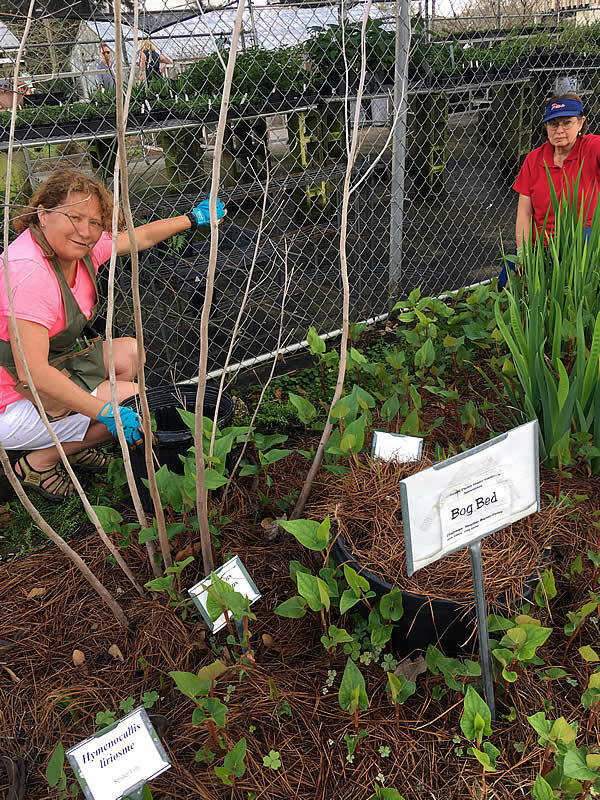 The second and third prizes are a Container Garden from Girouard’s and a Lion Fountain. For the $2 tickets there are a number of smaller items. The drawing will be at 3:30 PM and you do not need to be present to win. However, please be close to a phone at that time so they can notify you. 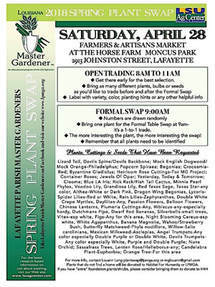 Label with variety, color, planting hints or any other helpful info. 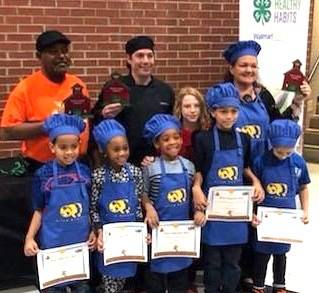 Second Graders from the Spanish Immersion Program at Alice Boucher won first place Saturday, January 20, in the School Garden Initiative 4th Annual “On Cuisine du Jardin Cook-off” at David Thibodeaux STEM Magnet Academy. Their winning menu consisted of barbecued chicken tostados, fresh corn and black bean salad, and dessert of kiwi, oranges, and strawberries. 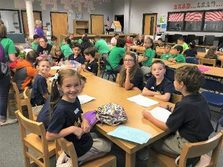 Other school teams that participated were 3rd graders from Ernest Gallet (2nd place), 5th graders from L. Leo Judice (3rd place), and first time participants, 4th graders from Ridge Elementary, ( Honorable Mention); each team prepared delicious meals using vegetables/fruits grown from their school gardens and incorporating their knowledge of healthy food choices. 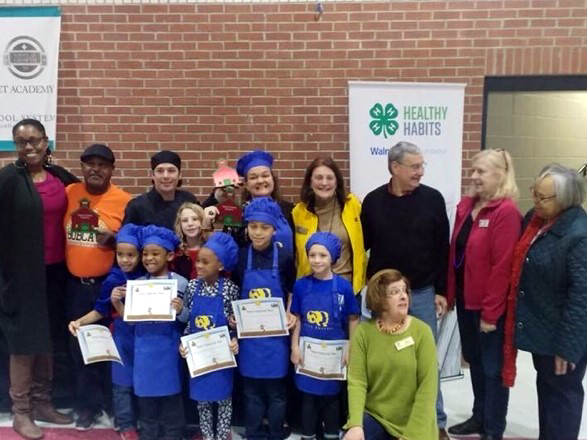 The teams consisted of 3-5 students, an adult coach, a guest chef, and a current elected official. 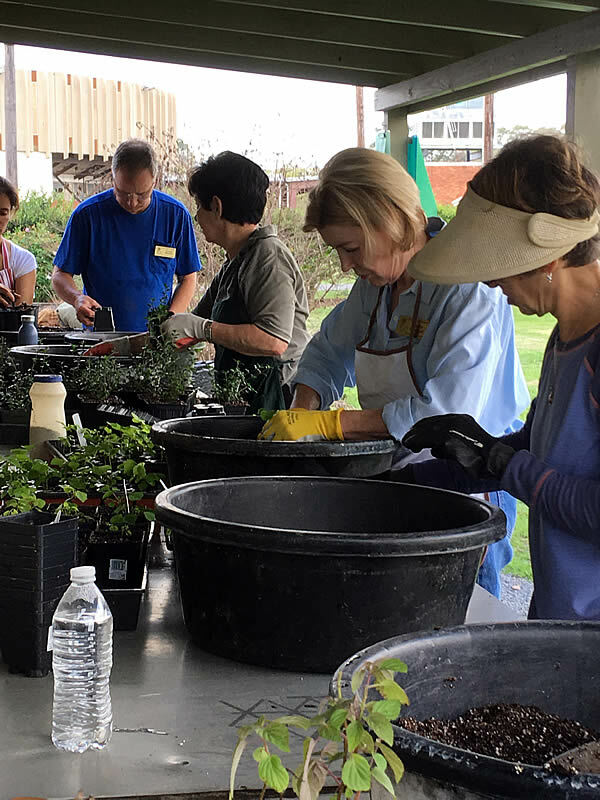 Guest chefs included Charles Von Aspern, The Bus Stop Chef, Jacob Williams, Café Vermilionville, Mindy Pardos, Cajundome Artisan Creative Catering, and Curt Guillory of Grilling with the Guru. 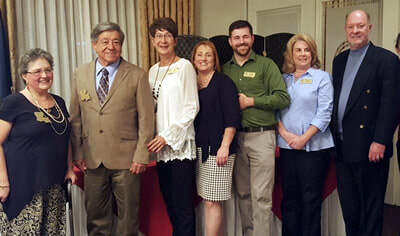 Community officials were Elroy Broussard and Many Morrison, LPSS Board Members, Matt Romero, Youngsville City Councilman, and Nanette Cook, Lafayette City Parish Council. Marcelle Bienvenu, cookbook author, food writer, and instructor at John Folse Culinary Institute was our guest judge. 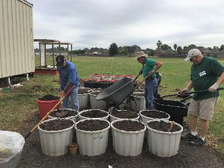 Alice Boucher’s team will have their MyPlate menu included on the Lafayette Parish School System (LPSS) school menu for all LPSS schools participating in the School Garden Initiative program. 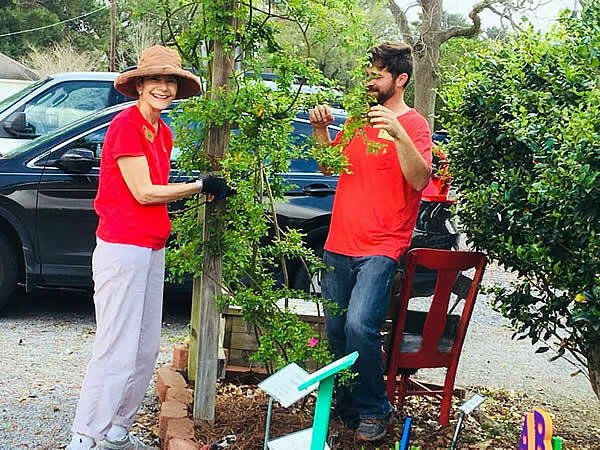 A BIG thanks to the lead teachers and the Master Gardeners who made this such a success! Students, teachers and MG volunteers at Ernest Gallet are starting off their second year excited and anxious to get going. 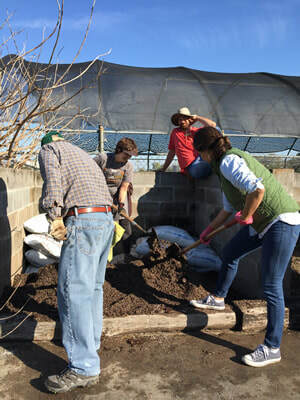 Our ambassadors did an excellent job of teaching Garden Safety at the School Garden Initiative Training in September. 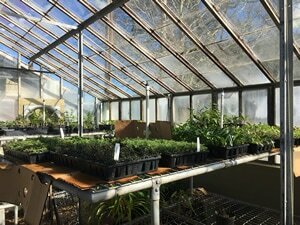 The LPMGA guy squad helped us amend our growing medium with peat moss and Start and Grow as recommended by our LSU Ag Agent Dan Devenport. 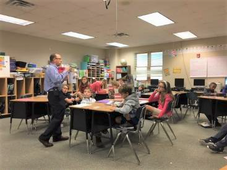 On Oct 17, Charles Hebert talked to us about making goals for our garden this year. 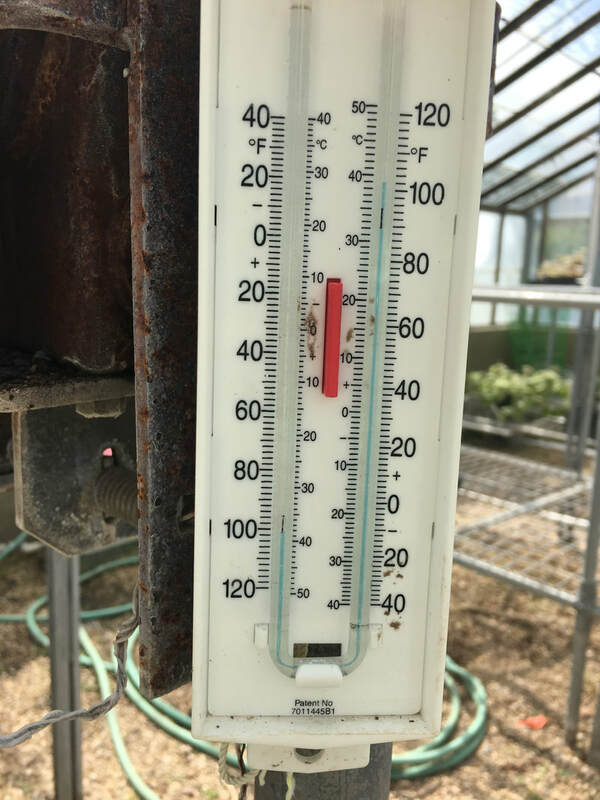 Some of our goals are to practice garden safety, learn how to plant different vegetables in our garden, learn the difference in warm season vs cool season plants, and participate in the School Garden Initiative Cook Off! Home page has some new images. Thanks to May Vidacovich for sending them in. 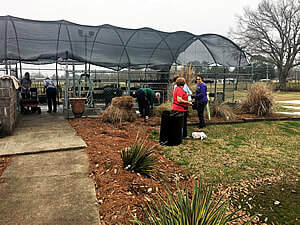 If you would like to see your photos on our home page, send to webmaster@lpmga.org.